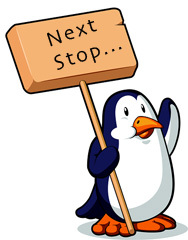 Is Google Pushing Penguin 3.0 Next Week? Yesterday at SMX East, I reported on Search Engine Land in real-time that Google's Gary Illyes said on stage that Penguin may come next week. So what did Gary say on stage yesterday? People don't believe that it may come next week. He did not say it WILL come next week. He said that based on internal communication from two weeks ago, the decision maker on if and when the algorithm will be pushed live, said that it will be live in weeks. Since that was about two weeks ago, we asked if weeks meant a "few weeks" and if so, that would mean Penguin would be released in a week from now. He said, with a smile, it may be released next week. You can also see Gary's comments about my coverage on these two posts on Google+. But he clarified, if the tests show issues, then they won't push it out. What was interesting was that he said that as of that internal email, any new link disavow changes won't be included in that. Again, if you disavowed links within the past two weeks or so, those links will not be disavowed in the next generation Penguin release. So clearly Google has done some initial work to stage this Penguin update - if the disavows have been fully processed for this release already. In addition, Gary explained that this new update will support faster refreshes of Penguin in the future, as we knew, but when prodded more, he said likely on a monthly cycle. I guess a lot like how Panda is run monthly now. Gary also explained the new Penguin refresh should be less painful. He said they could have run Penguin over and over again but that would have just hurt more and more webmasters. But the new one will be "easier a bit" on webmasters, so much so webmasters will find it a "delight." He used the word "delight" but I am not sure it made much sense in context (I don't think his first language is English and he lives outside of the US, so keep that in mind). That being said, Gary seems to be intimately involved in the Penguin algorithm. Forum discussion at Google+, HighRankings and WebmasterWorld.